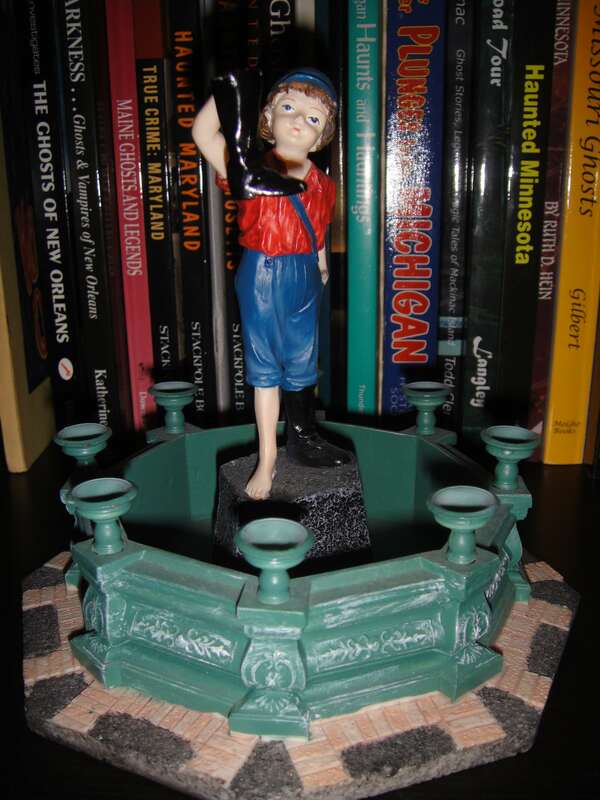 For those of you who are not aware, a large portion of my Strange and Spooky Museum is devoted to the Boy with the Boot—a small, enigmatic statue in Sandusky, Ohio that I first stumbled upon in 2004 during the writing of Weird Ohio. Not knowing anything about the statue, I started asking people about it. Thus began an obsession that has continued to this day. Tag on bottom says this is from the "Catherine Karnes Munn Collection"
My obsession was fueled by the fact that the statue in Sandusky was not the only one in existence. 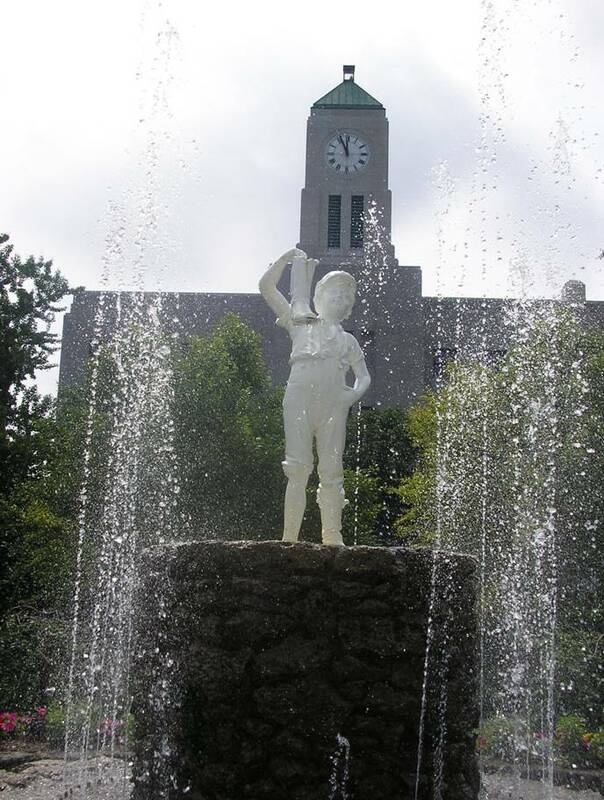 In fact, there are Boy with the Boot statues all over the world. There’s even a tavern in the UK named after their statue, although there the statue is referred to as the Boy with the Leaking Boot. Strangest of all, however, is the fact that no one has been able to fully explain the significance of the statue, the meaning behind its creation, or who even created it in the first place. But that hasn’t stopped the statue from appearing on everything from postcards and t-shirts to thimbles and cross stitch patterns. And I MUST have it all…but I don’t know why! 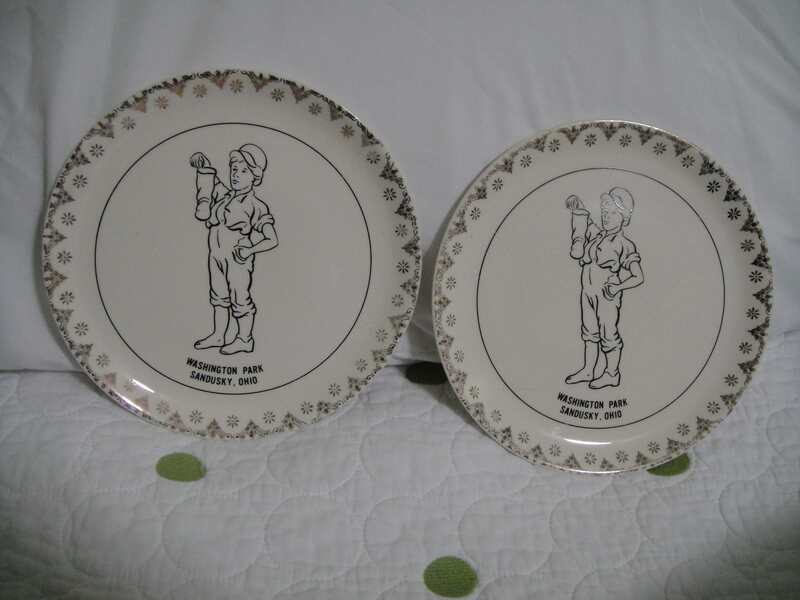 My latest acquisition is a pair of identical plates featuring the Sandusky version of the statue. They appear to be very old, but lack any sort of identifying marks, so I can’t seem to place them. But they’re still cool!